HEG Ltd's standalone net profit in the quarter ended December 2019 has risen 153% yoy to Rs867cr. Shares of HEG were trading in the green on Tuesday after the company posted solid net profit growth in its Q3FY19 results. The HEG stock soared ~6% on the BSE after the company's net profit zoomed 153% in Q3FY19. HEG reported a sequential decline in earnings despite higher revenues due to increased raw material costs. Revenue in the quarter grew 121% yoy to Rs1,865cr (up 4% qoq). EBITDA stood at Rs1,313cr, up 136% yoy (down 4% qoq), with EBIDTA margins rising 427bps yoy to 70.4%. Net profit stood at Rs867cr, up 153% yoy (down 2.5% qoq). Read more. 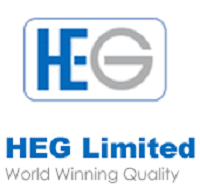 HEG Ltd, incorporated in 1972, is a leading manufacturer and exporter of graphite electrodes in India and operates the world's largest single-site integrated graphite electrodes plant at Mandideep in Madhya Pradesh. The company also operates three power generation facilities with a total rated capacity of about 76.5 MW. HEG Ltd share price is currently at Rs2,331.20, up Rs120.1, or 5.43%, from its previous close of Rs2,211.10 on the BSE. The scrip opened at Rs2,170 and has touched a high and low of Rs2,346.40 and Rs2,025, respectively. So far, 12,72,268 (NSE+BSE) shares were traded on the counter.